Happy October everyone! I have a feeling the next three months are going to fly by. I wanted to hop on here today and write up some thoughts about how to run a successful blog giveaway because believe it or not, it’s not as easy as it looks. I’ve tried tons of different giveaway types over the years and I’m now very picky about which ones I actually agree to participate in. As bloggers, we all use giveaways to grow our following, but there are some giveaway tactics that I think work super well and others that leave you wondering why the hell you spent your money on them in the first place (if you’re not giving away something you already have like beauty PR samples). I really hope this gives you a good intro into what you can expect from giveaways and how to locate any red flags for giveaways that you might want to avoid. Why do bloggers do giveaways? - It’s a nice way to give back to your followers and show them that you care about them! Blog giveaway - If you have solid readership on your blog, the people who come check out your website every day will likely be interested to enter to win something you might be giving away. I’ve hosted a few of these, generally through Rafflecopters where I partner with other bloggers. Here’s one in a post I did from a while back for a Nordstrom gift card. Instagram giveaway - These are probably the most popular. You can either post a photo to your feed with giveaway rules and instructions or you can share a giveaway in your stories with instructions for your audience to follow in order to be entered. YouTube giveaway - The YouTube community is a dedicated one and if you’ve got a loyal following on YouTube you should definitely consider running a giveaway on there. Loop giveaways with lots of random people - I find that when I partner with a few bloggers (especially those who my community may recognize from when I hang out with them IRL) it has such a better impact than when I join giveaways with 50 other people in them. Giveaways that have too many steps for entry - I like to keep my giveaways simple. If I’m running my own beauty giveaway on Instagram the steps are often: 1. Follow me on Instagram 2. Like this photo 3. Tag three friends. If I start asking them to comment on my last three photos or also follow me on YouTube I don’t have as many people who are willing to take those extra steps. 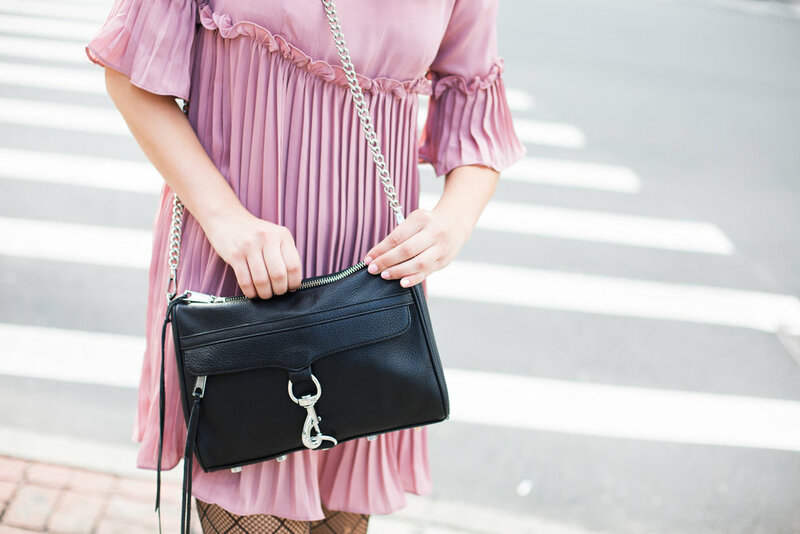 Giveaways that require me to front a ton of money - Sometimes you want to partner with other bloggers to give away a gift card, a designer bag, or maybe even a trip or hotel stay. But those things can get expensive so unless I know exactly how my money will be spent and the approximate gain that I’d get from doing one of those, I’ll likely pass on them. Rafflecopters for blog giveaways are typically much cheaper so you could always start with one of those and work your way up. How people can enter - tagging friends, following you, sharing your post on their accounts, etc. Who can enter - age restrictions, what countries its open to, etc. A disclosure - I always make sure I disclose on my Instagram that the giveaway is not affiliated with Instagram or the brand of the product that I’m giving away, unless I’m doing a collaboration with them. Always make sure you cover your legal tracks! Have you ever run a giveaway? What’s your best tip for making it successful?